byJeff Benedict, adapted from "Make a Choice: When You Are at the Intersection of Happiness and Despair"
On October 3, 2009, Bruce told his mother he was taking off for the day. It was a Saturday, and he wanted to try out a new archery set he had purchased. She told him to enjoy himself and be careful; she’d see him when he returned. Bruce drove about two hours through scenic Logan Canyon to Bear Lake. A nature lover and lifelong camper, he spent the day exploring trails. He ended up at the north end of Bear Lake Valley in Montpelier, Idaho, a town of three thousand. With daylight fading, he found a motel for the night. Then he headed out for a bite to eat at Butch Cassidy Restaurant and Saloon. While eating, he saw a much younger man verbally harassing a waitress. 'That’s no way to talk to a lady," Bruce said. According to witness accounts, when Bruce left the restaurant, the younger man followed him out and punched him in the back of the head. Bruce dropped like a felled tree, his face slamming onto the concrete walkway. Bleeding profusely from the head, his pulse faded rapidly and he lost consciousness. The next thing he remembered was waking up at Logan Regional Hospital after undergoing six hours of emergency plastic surgery. Metal plates were inserted around his eyes. His shattered nasal bones were reset. Bruce's mother, Ione, got a call at home in the middle of the night. It was all she could do to keep it together when she saw Bruce's swollen, disfigured, and bandaged face. He was unrecognizable. His vital signs were still weak. He was near death. The man who attacked Bruce was apprehended at the scene and charged with a felony—aggravated battery—meaning the battery had resulted in great bodily harm and permanent disability. He was 23 and already on probation for burglary. Turns out his juvenile years had been tragically sad. If convicted of attacking Bruce, his adult years would be spent behind bars. However, the prosecutor could recommend a six-month stint in a substance abuse facility, which would require vacating his burglary conviction. As the victim, Bruce would have an opportunity to tell the court how he felt about the proposed alternative sentencing. For a while, Bruce was in no condition to talk to anyone. After his initial surgery, he spent two months in and out of the hospital dealing with chronic infections and other complications stemming from the injuries. For example, one of the metal plates beneath his eyes slipped through the roof of his mouth, causing a hole that resulted in infection. One eye never blinked after the assault, and his speech was slurred. Embarrassed by his appearance and his inability to put words together, he didn't want to face family and friends. Eventually, Bruce talked to his mother and his attorney about his assailant’s upcoming hearing. Convinced he wasn’t going to live much longer, Bruce confided that he didn’t want to die with malice in his heart. "Whether I make it through this is not as important as what I can do to help this young man turn his life around," Bruce told them. Despite a paralyzing headache and dizziness, Bruce traveled with his family to Idaho for the hearing. He told the court that he supported leniency. Treatment, he said, was preferable to incarceration. Bruce’s thinking was clear—he had enjoyed an ideal upbringing with loving parents and opportunities to grow and thrive; the guy who’d attacked him had none of that. "Bruce wanted to try and help this kid turn his life around," Ione said. "Getting him into that treatment program was a better option than putting him behind bars for many years." The court went along with Bruce’s wishes and sentenced the 23-year-old to six months in treatment. However, if the young man did not meet the treatment requirements and satisfy all the terms of his probation, he'd serve the full prison term for his burglary plus additional years for the attack on Bruce. Weeks later, Bruce and Ione were in the family room. It was January 14, 2010, and the Utah Jazz were on television. Bruce lay motionless on the couch. The pain had become unbearable, and he hadn’t eaten much in the last 48 hours. When the game ended, Bruce sat up. "Let’s have prayer and go to bed. I’ll say it." "No. I want to pray." From the couch, he struggled to get the words out. He thanked Jesus Christ for His example and all He had done for mankind. 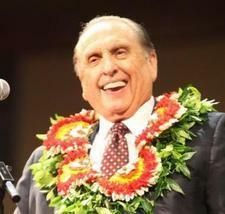 He expressed gratitude for the privilege of being a missionary when he was 19. He also thanked God for his family and friends, and he asked for a blessing on them. Then he prayed for his assailant. It took him an hour to get it all out. Ione wiped away tears. She’d never heard him pour out his soul like that. Then he struggled to his feet and embraced her. "I love you, Mom," he whispered. "I don’t know if I’ll be here in the morning," he continued. "I am so tired." A few hours later, Bruce died in his sleep. He was 44 years old. Weeks after Bruce's death, Ione received a thank-you letter from the Utah eye bank. Bruce was an organ donor, and the eye that had been protected by the eyelid that never blinked properly after the attack had been sent overseas and had given sight to someone else. A short while later, Ione received a second letter, this time from a young woman who had been unable to walk due to a deformed anklebone. One of Bruce's was surgically installed, giving her the ability to walk. "Sometimes it takes a while," Ione said. "But good does overcome evil." Certainly Ione taught that to Bruce in the way she raised him. And Bruce's choices teach us the power of choosing to give someone—especially someone who has wronged us—a second chance. Jeff Benedict is a special features writer for Sports Illustrated and a New York Times best-selling author of more than a dozen books. His website is jeffbenedict.com. For more inspiring true stories, check out Make a Choice: When You Are at the Intersection of Happiness and Despair by Jeff Benedict. Now available at Deseret Book stores and at deseretbook.com.